This second lecture on Paradise Lost looks at hell and its inhabitants, as depicted in Books I and II. Milton’s struggle both to match and outdo his literary predecessors is examined by way of allusions to the works of Homer and Edmund Spenser, particularly the cave of Mammon episode in Book Two of The Faerie Queene. The presence of classical mythological figures, such as Medusa and Mulciber, in the Christian hell of Paradise Lost is pondered, along with early distinctions in the poem, frequently blurred, between good and evil, beautiful and ugly, and heaven and hell. Was Memory the Source of Milton’s Poetic Inspiration? Professor John Rogers: Traditionally in Renaissance literature, the muses – and this will be familiar to many of you – the muses are thought to be the daughters of Memory, and the nine muses up on Mount Helicon – that’s where the muses are believed to have lived – are the offspring of the goddess of memory, whose name in the Greek is Mnemosyne. Mnemosyne, whose name is spelled with some difficulty, is spelled on the lower part of your handout. Now, there’s an important reason for this genealogy, the idea that the muses are the daughter of Mnemosyne, the goddess of memory. In the Renaissance, the most potent source of poetic inspiration was often believed to be the poet’s own memory, the degree to which the poet could call up, just out of sheer recall, literary topoi or commonplaces stored in his or her memory from a lifetime of reading. Milton himself, and this seems to be true, is said to have had one of the most capacious, one of the largest memories in English letters. This is the effect that we get, I think, from reading Milton – is this notion that he seems to have had one of the largest memories imaginable and that he’s remembered just about everything he’s ever read. Now we know that Milton was blind probably well before the time he began writing Paradise Lost, and therefore, of course, he was then unable to read. 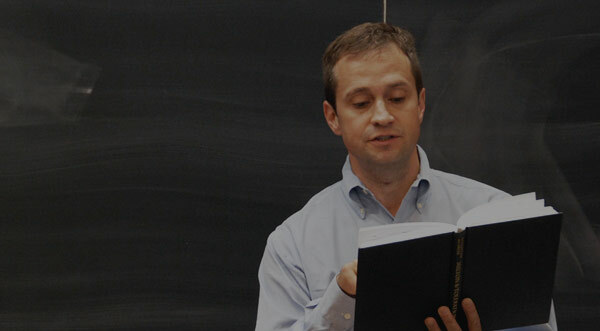 Even though there were people, mostly young men, willing and able to read to him, it’s clear that the vast quantity of learning that gets poured – all of that erudition that gets poured into the pages of Paradise Lost – it’s clear that this is not a product of Milton’s last-minute review of the classics. This learning springs from the recesses of Milton’s memory. I take this to be an undeniable fact, but this is easy for us to say – it’s easy for us to say that it’s Milton’s memory which is the fount of so much of the poem’s erudition. It’s easy for us to say that it was Milton’s memory that facilitated his grasp of the Christian and the classical traditions. But I think Milton would probably feel a little uncomfortable with our easy attribution of so much of the poem’s learning to his memory. That’s because to suggest – just think of it – to suggest that Milton is relying on his memory as he composes so allusively and so dependently, in a lot of ways, so much of Paradise Lost – to say that is simply to say that the poem has been generated by Milton and not by God. Milton has expended, we know, a considerable amount of energy in establishing what he wants us, I am assuming, to believe is the divine authority behind the poem. This poem, Milton tells us again and again, has been authorized by that same Holy Spirit who had inspired Moses to write the Book of Genesis. And so in order to make an extraordinary claim for divine authorization, Milton has to defend against this notion that I just began this lecture with: the idea that memory is on some level really at the source of Milton’s poetic inspiration because to rely on memory is simply in some sense is to admit that this is just one more epic. It’s to admit that this is in fact a late epic and that it derives from a close, studious, student-like imitation of the great epics of Homer and Virgil. Now you’ll remember from our discussion of the opening invocation to Paradise Lost, that insistent bid that Milton was making: the bid to be first. His adventurous song is one that “with no middle flight intends to soar / above th’ Aonian Mount, while it pursues things unattempted yet in Prose or Rhyme.” And so it was with such pride that he declared that this poem was going to soar above all of its classical predecessors, but the category [laughs] “Prose or Rhyme” is a large one. It covers just about everything, I would have to say, and the literary spectrum from prose to rhyme, of course, would have to include the Bible as well. There’s even the suggestion here that Milton will be pursuing things unattempted yet even in holy scripture. That is an extraordinary claim for the poem’s originality. But it’s a difficult claim because even as Milton makes this claim, he manages to undermine its force. Merritt Hughes usefully notes this in one of the notes at the bottom of the page, that Milton in that line, “things unattempted yet in Prose or Rhyme,” Milton’s actually alluding to the opening of another romance epic. This is the Orlando Furioso by the great sixteenth-century Italian poet Ariosto. What is happening? [laughs] Milton had borrowed this claim for an absolute originality. He’s taken it from somebody else, and in doing so I think he’s doing this deliberately; he’s exposing some of the darker ironies behind his own literary ambition. It’s a good sort of question that gets raised in such a problematic allusion: how do you set out to write an original poem within such a conventional genre like the epic? What does it mean to be inspired to write by the Christian Holy Spirit when your epic, in fact, just imitates a whole array of classical pagan conventions? How can you write an original poem when your literary consciousness is essentially made up of the memory of all the things that you’ve read before? This is what I’ll be proposing over the course of this lecture: that memory is a problem that Paradise Lost is continually confronting. So much of the pathos of Satan’s fallen condition involves his painful memory of that blissful state in heaven from which he had fallen. The problem of memory is just as important to the psychological dynamics of the fall of Adam and Eve, but as we will see when we look at Book Four, surely it’s the problem of the poet’s memory that’s the most troubling in Paradise Lost. Milton’s own faculty of memory – this is the idea that I’m going to be floating here – seems to provide something like, or pose a stumbling block or an obstacle for, his attempt to write an original, divinely inspired poem. I want to suggest in this lecture something that will initially sound, I assume, like a peculiar formulation: there’s a strange way in which Milton has to imagine himself losing his memory if he’s actually going to open himself up to the muses’ inspiration and the inspiration of the Christian, the heavenly, muse. There’s a sense in which Milton will have to forget everything he’s learned up to this point. There are some important signs, I think, especially in the first two books of Paradise Lost of what we can think of as Milton’s – it’s a literary fantasy, a literary fantasy of forgetfulness. As you may well have gleaned from your reading, the first books of the poem are particularly absorbed with the idea of forgetting, because more than any other part of Paradise Lost they display so ostentatiously the remarkable scope of Milton’s own memory. These books are without question more heavily allusive than any other books in the epic. They are steeped in the entire literary tradition of the underworld journey that stretches from The Odyssey of Homer up through Virgil’s Aeneid, and of course up through all of the Renaissance romance epics. And it’s important to remember that Milton will – this is probably an invariable truth, but I’ll qualify it nonetheless – that Milton will typically imitate his predecessors only with a difference. He usually takes pains (for example, in his great depiction of hell in Books One and Two) to avoid the standard epic scenes of the torture of the damned, for example, with which we’re familiar if we’ve read Homer or Virgil or, of course, Dante much later. So in this context, the river of oblivion serves an obvious purpose in the context we have here in Book Two. To drink from this river would allow the fallen angels to forget their fallen state, to forget the fact of their fallen-ness from their more blissful former condition. On some level, forgetfulness would just ease the grievousness of this miserable new psychological dynamic with which they are tormented. It’s an amazing passage because in a lot of ways, I think, Milton is actually directly enacting for us, the reader, the impossibility of such sweet forgetfulness. As soon as he describes the impossibility of forgetting, a flood of classical figures pours into his own narration. They pour with such a force, I think, that Milton permits – I think this is a significant rift that fissures or fractures the otherwise seamless text that we have in Book Two. I’m convinced that there’s something very strange going on. Standing in the Lethe of Milton’s hell is none other than the classical figure, the figure from classical mythology, Medusa. You know Medusa. She has the power with her snaky locks to turn men into stone, and so this seems to be unique – I don’t know of any predecessor that Milton had for this: Medusa, having been placed by Milton in the river Lethe, in the Christian underworld, can prevent, of course, the fallen angels from drinking the waters of oblivion. Such is her power. But we have every right to ask what Medusa – this is a figure from Greek mythology – what Medusa is doing in a Christian hell. There are, of course, dozens of figures taken from the texts of classical mythology who are alluded to throughout the first two books, but invariably they appear, just as Tantalus does in this very passage, within the context of a simile. They’re not actually present in the real world of Milton’s hell, or if it’s a pagan god who’s mentioned, Milton will tell us that the pagan god was just an early manifestation of one of the fallen angels. But at least within the context of the present narration, the figures mentioned in Milton’s hell are all former inhabitants of the Christian heaven. And the fallen angels themselves – Satan, Moloch, Belial, Mammon, and Beelzebub – these are all demons who were drawn from the Judeo-Christian tradition of demonology. They’ve been clearly been hurled into hell by a Judeo-Christian deity. So this little moment, this Medusa moment, we can call it, is really quite strange. In the midst of all of the Judeo-Christian realism, we have standing here a decidedly pagan – and I think this is not uninteresting – a decidedly female presence. You’ll correct me if I’m wrong, but I think I’m right to insist that this is a unique phenomenon in these books. I think there’s actually a reason for this aberration. Medusa can turn men into stone. She subjects them to that posture of absolute paralysis that we’ve seen represented in a number of the early poems. The Lady, the Lady in Milton’s mask, was stuck to her seat in the presence of the Shakespearian magician Comus, and Milton himself had claimed in the poem “On Shakespeare” that Shakespeare “dost make us Marble with too much conceiving.” Shakespeare can turn us to marble because he can fill our imaginations and leave us incapable of thinking for ourselves, incapable of maneuvering around, or moving around, on our own. I think it’s possible to see Medusa here as an emblem or some sort of figure for a similarly paralyzing power. You could think of Medusa as Milton’s counter-muse. If Milton’s true muse, or so he hopes or so he wants us to believe, has a Christian origin, then this counter-muse is unquestionably classical. She’s a daughter of Mnemosyne, the goddess of memory, and she represents that force that prevents Milton from forgetting all of the pagan and all of the classical literature that, of course, he had spent so much of his life reading. Now I asked you to read for today, and I’m hoping you remember some of the reading, the canto from Spenser’s Faerie Queene that features the cave of Mammon. The cave of Mammon is the home of Mammon, the money god, who stores in his cave all of the wealth and all of the honor that human beings spend so much energy striving for. Now Spenser’s hero in Book Two of the Faerie Queene is Sir Guyon, and Sir Guyon descends into Mammon’s Cave – it’s a Spenserian underworld – and it’s in Mammon’s Cave that he is tempted by the money god himself. This little bit of the Faerie Queene is important for Milton in all sorts of ways. It’s first of all a depiction of an underworld, and so it provides Milton with an important Christian representation of a hell. In that respect, it has a kind of priority over the hells or the underworlds of Homer and Virgil. It also provides Milton with the figure of Mammon who will, as you will see over the course of this semester become – well, here in Paradise Lost he’s one of the key fallen angels in Milton’s hell. Mammon actually seems to represent the Miltonic position, or that position in the debate in hell that seems to resemble most closely Milton’s own moral temperament, we could say; and you’ll see at the end of this semester that Spenser’s cave of Mammon canto is even more central to Milton’s sequel to Paradise Lost, which is Paradise Regained, which in many ways is a more or less close rewriting of Spenser’s story with Satan playing the role of Mammon and Christ in the role of Sir Guyon, the hero. I cannot praise a fugitive and cloistered virtue, unexercised and unbreathed, that never sallies out and sees her adversary, but slinks out of the race where that immortal garland is to be run for, not without dust and heat. [I’m going to skip a couple lines here.] … [W]hich was the reason why our sage and serious poet Spenser, whom I dare be known to think a better teacher than Scotus or Aquinas [Scotus and Aquinas are medieval philosophers] describing true temperance under the person of Guion, brings him in with his palmer through the cave of Mammon, and the bower of earthly bliss, that he might see and know, and yet abstain. Spenser’s cave of Mammon is central to Milton’s understanding of the Christian’s resistance of temptation, the temptation posed in Areopagitica by scandalous and seemingly non-virtuous books. Spenser, Milton argues here, knows the importance of reading everything, the Miltonic position. However evil those books are in and of themselves, we have to read them so that we might see and know and yet abstain. Now this passage is famous for a lot of reasons, not least of which is that it’s wonderful. It’s juicy evidence that provides for Milton’s intense fondness for – we might even think of it as a passion for – this earlier English poet. The passage is also famous because in it Milton does something that he almost never does. Milton has made a mistake. John Milton has made a mistake. He’s made a literary mistake and, as I think all editors know, Spenser does not. Edmund Spenser in the Faerie Queene does not bring Sir Guyon with his palmer through the cave of Mammon. Guyon descends in to the cave of Mammon by himself. The palmer has been Guyon’s guide up to this point, his teacher. The palmer accompanies him on all of his adventures but this one, and Spenser in stanza two of this canto makes a big deal of the fact that Guyon is descending in to the Cave of Mammon by himself. He’s been separated from his guide, his teacher, the palmer. Milton seems actually to have forgotten something is. His memory has failed him and, given the general importance that I’m attributing to problems of remembering and forgetting, I think it’s safe to assume that something important is going on here. The temptations that Mammon offers Guyon are literally within the story itself temptations of wealth, but they’re also temptations to the wealth of classical learning, the wealth of the entire classical heritage. You’ll remember that Mammon has a special place within his cave that’s called the garden of Proserpine, and the Garden of Proserpine has within it all of the central symbols of pagan wisdom and of beautiful epic literature. Perhaps you’ll remember, too, that Tantalus is present in the cave of Mammon, literary temptation being as important as all other temptations in this canto of Spenser’s. The temptations of classical literature are so genuinely tempting to Milton that he finds it impossible to imagine that Guyon could have seen and known and yet abstained from them without the aid of his teacher, the palmer. You’ll note in this passage from Areopagitica that Milton himself calls Spenser a teacher. He’s a better teacher than Scotus or Aquinas, and the text seems almost to suggest that Milton can’t do without his own teacher, Edmund Spenser. Milton needs Spenser – this is an argument that’s been amplified at some length and really quite brilliantly by John Guillory in the book Poetic Authority – Milton needs Spenser to serve as the Christian poet who can help Milton fight off the temptations of pagan poets like Homer and Virgil; or perhaps Spenser is a poet who can help Milton fight off the temptations of even a secular contemporary like William Shakespeare. It’s almost as if the story of Mammon’s temptations of Guyon has hit a raw nerve in Milton. Milton’s lifelong susceptibility to this story, and that will without question prove to be the case, speaks to a truly profound ambivalence about the pleasure to be derived from a reading of secular literature. Milton seems genuinely ambivalent about all of the time and all of the study that he has invested in his own education to become an epic poet. I think that the metaphors of investment here and of profit are especially applicable since it’s the figure of Mammon who provides Milton with a literary version of his economic account of poetic investment and poetic profit. And digg’d out ribs of Gold. When we consider the degree of Milton’s anxieties about his own attachment to classical learning, I think we can see the significance of Mammon’s actions here. The image of men, and it’s a grotesque image, of men rifling the bowels of their mother earth for treasures better hid – this is a disgusting and terrifying image of a lot of things. One of the things, I think, that it’s an image of is the practice of literary excavation. To ransack the intellectual treasures hidden away in the landscape of literary history is an act, on some level, of a kind of a violent desecration. Milton, I think, would need to defend himself from the implications of this act of violence. And so Milton calls on none other than his teacher, Spenser. Milton seems to have dug around rather carefully in his copy of the Faerie Queene, and he’s come up with this illusion. You actually see this near the top of your handout, the allusion from the Faerie Queene. It’s the passage from Spenser’s cave of Mammon canto that describes this same scene of violation, the violation of mother earth. The first discovery of gold for Spenser took place when “a cursed hand, the quiet womb / of his great-grandmother with steel to wound…” Spenser, just like Milton after him, seems to be associating the digging of gold with the pursuit of a very literary past. They’re on the same wave length here. [but t]he Rib He form’d and fashion’d with his hands. And when we remember that God will dig a rib out of Adam’s wound in order to create the beautiful, the golden Eve, we realize how complicated, how complex and how ambivalent, Milton’s little image is here at the beginning of the poem. Milton is loading every rift of this passage with ore, and there seems to be something at least provisionally – at least for a moment, there seems to be something potentially redemptive and potentially generative about the activity of excavation that Milton is describing otherwise so negatively here, that he’s condemning here. Mammon uses this extracted gold to create that magnificent structure Pandemonium, and the function of this structure is implicit in its name [a word that has its origin, in fact, here in Milton]. Pandemonium comes from pan daimonium: pan-demon [or as the American Heritage Dictionary teaches us: Greek pan-, pan- + Late Latin daemonium, demon (from Greek daimonion, from daimōn, lesser god, demon). It’s the place where all of the demons, all of the fallen angels, will congregate. This is their political capital. This is where they will debate their future and establish a new political institution. This structure – and this is something that’s important for Milton to convey to us – is genuinely beautiful. It’s not entirely clear that Milton wants us to think of Pandemonium as unambiguously evil. I propose that for a moment, we almost forget what’s actually being described in the passage. It’s as if the story of Mulciber’s punishment has come to a standstill. Of course, it’s with no small help from Milton’s incredibly elastic blank verse here that the headlong rush of Mulciber’s fall has been drawn to a provisional stop. It’s been drawn out and spatial-ized. It’s as if it’s been spatial-ized into a scene of a beautiful summer’s day, and we’re left contemplating not the punishment of evil but – I don’t know, one of the things we’re left contemplating is the sheer beauty of Homeric poetry. Milton has dug up a gem from the pages of The Iliad, and this gem has something like a Medusa effect on the poem or perhaps on us as readers. Time almost seems to stop when we begin appreciating this image solely on aesthetic grounds. This is so mean. Just as we were beginning to appreciate the loveliness of the classical tradition, Milton reminds us – once again he reestablishes the moral poles of good and evil: “[T]hus they relate, / erring.” Who cares? Who cares what Homer says? What did Homer or any of Homer’s contemporaries know about Mulciber? Mulciber fell long before Homer because Mulciber fell long before the creation of the earth – and it’s Milton, and it’s no other poet before Milton, who’s finally able to set the record straight. Milton’s insisting here that all of the pagan deities had originally been fallen angels. He’s providing us with something of a prehistory of classical mythology, a prehistory of classical mythology that had, of course, been completely unknown to Homer and Virgil, naturally, because they didn’t have the benefit of the Christian story of the fall of the rebel angels. Now without doubt this is a dubious theory of classical anthropology. Milton probably knows that; but it’s a theory that serves an obviously useful function for Milton. It allows the poet to appropriate all of the classical literature that he wants to because in the end he’ll be able to correct that literature. He can compare the myths of Homer – the earliest myths we have – he can compare them directly to the time scheme of Christian history and prove beyond a shadow of a doubt that his own version, that Milton’s own version, of the story comes first. Milton may be writing after Homer, but the story he’s telling comes first. This is one of the primary strategies that Milton develops, especially in the first two books of Paradise Lost, as a kind of defense against his dependence on classical literature. And a few lines down Mammon tells us that we will “work ease out of pain / through labour and endurance.” He’s offering us essentially an economic model that, I think, we as readers of Milton recognize. This is the model of investment and profit that had characterized Jesus’ parable of the talents. It’s the model of investment and profit that characterized so many of Milton’s own early writings, including that promise, you’ll remember, to his fellow Englishmen that he would one day produce a work of literature that his countrymen would not willingly let die. Now for my money, it’s Belial who gives us the most beautiful and the most seductive contribution to the debate in hell, but it has got to be Mammon who most resembles Milton himself. It’s Mammon that comes closest to Milton’s own – this puritan ethos of disciplined liberty, hard work, and this kind of absolute self-sufficiency. In so many ways it seems that Mammon is actually echoing a lot of the political prose that Milton had written a decade before. It’s almost as if in the character of Mammon, we have Milton’s parody of himself. That cry, “Let us seek our own good from ourselves” – it’s a perfect Miltonic tag for the first two books of Paradise Lost. Milton is always seeking a good from himself that is morally superior to the good of his classical predecessors. Milton refuses the state of splendid vassalage to a kingly poet like Homer. He’s continually seeking a good from within his own religious and from within his own literary sensibility. Now in these two books we’ve seen Milton dig up and discard just about the entire [laughs] tradition of epic poetry. It’s at the end of Book two that Milton seems to complete this process, this process of a trashing of his literary predecessors. It’s here at the end of the second book that Milton is finally ready to embrace the poetics of his better teacher, Edmund Spenser, and out of nowhere – and I know that all first-time readers of Paradise Lost are surprised by this – we have Milton engaging the fine art of Spenserian allegory. So let me remind you of what’s happening. Satan flies out of hell. He journeys heroically through chaos in order to find that new planet that he had heard about in heaven, and he’s stopped by a figure who holds the keys to hell’s gate and who can determine who is able to leave and who is able to enter. Now it goes without saying that Milton has not been up to this point writing an allegorical poem. The creatures moving and speaking have been actual creations of the deity, with the strange exception of Medusa. They have a substantial reality within the fictional context, the mimetic context, of this epic. These are angels. They are individual creatures who seem really to be in hell just as they seem really to have been in heaven; but the figures of Sin and Death, they are entirely different animals. They are mere personifications of abstract ideas, and it’s not at all clear that Sin and her son, Death, exist as individual entities in the same way, or on the same plane, that Satan does, for example, or Beelzebub. It’s reasonable, I think, to invoke Dr. Johnson here, Samuel Johnson, who writes in his Life of Milton that Milton’s (I love this) unskillful allegory appears to be one of the greatest faults of the poem. Whenever Johnson is being arrogant and mean about Paradise Lost, invariably he’s on to something, and here he’s telling us that Milton’s gone too far. He’s taken his allegory too far. He permits a real character like Satan to interact with a merely allegorical or symbolic character like Sin. The effect for Johnson – and who can say that this is – that Johnson is wrong? – involves an awkward collision of different artistic modes and entirely distinct planes of reality. I don’t know. If you’ve ever seen a movie – well, there are lots of movies that do this; one of the first movies that did this was “Who Killed Roger Rabbit?” – if that’s something you’re familiar with – in which the interaction of real people with what are called “Toons” in that film is part of the film’s pleasure. The boundary between different levels of reality is crossed. Milton’s performing a similar boundary-crossing aesthetic gesture here. Now it might be morally useful to talk about the forces of Sin and Death as if they were actual moral agents, but it makes no sense within the mimetic narrative that Milton has created for us here in this realistic poem. I think that Milton is acutely self-conscious of the uncertain status that these allegorical characters that he has invented have. And so I’m going to propose this: the idea that Milton’s own allegory, while it is a serious allegory and it’s performing all sorts of work that I don’t have time to talk about, is at the same time a critique of allegory. Now those of you who have taken English 125 or any course that has asked you to read Spenser will recognize almost instantly I think, I hope, Milton’s literary depth. At the very moment that Milton is beginning his own attempt at allegory, he alludes to the most famous allegorical character by England’s most famous allegorical poet. This is Errour, the filthy dragoness who charms us, or doesn’t charm us, in the first canto of the first book of the Faerie Queene. Like Milton’s Sin, Spenser’s Errour is half woman, half serpent, and in a lot of ways she embodies the very problem of religious error. Dr. Johnson is right to suggest that Milton’s use of Spenserian allegory only invites a confusion of what are essentially disparate and irreconcilable categories; but what Johnson doesn’t seem to understand is that the confusion is precisely Milton’s point. It doesn’t make sense to speak of sin and death as if they were living entities capable of action and actual influence, as if they were living entities moving about as agents in the world. And why is that? Within the perspective of Milton’s free-will theology, sin can’t exist as an external reality. It can’t exist as a force that conceives a human individual from the outside without that individual’s consent because we all freely sin. No one can be compelled to do anything within the Miltonic theology of free will. Sin can only exist as the product of individual choices that freely willing people, like Adam and Eve or like Satan before his fall, make and for Milton to parse the world into rigidly determined categories like good and evil, or sin and virtue, is simply to be guilty of intellectual error. This isn’t how the world works in – this isn’t the Miltonic universe. Milton is alluding so unashamedly here to Spenser’s Errour because, I think, on some level he wants to brand Spenserian allegory as an erroneous literary practice. Now in 1644 when he wrote the Areopagitica, Milton may have forgotten that Spenser’s Guyon did in fact descend in to hell without the help of his teacher, the palmer. For Milton then, at least at that point in his career, his literary career, such a trip without a guide may well have seemed unthinkable. The temptations of the wealth of classical literature represented by Mammon perhaps were too powerful to resist alone; but now in the 1660s I think it’s possible to see a way in which Milton finally gets the story right. He realizes now that it is possible, perhaps it is possible, for the Christian poet to descend into the literary underworld alone, just as it was possible for Sir Guyon in the actual Faerie Queene to descend in to the cave of Mammon alone. Milton surveys the wealth of literary tradition before him, and he resists its allure without the help of any human guide. He can reject the beauty of Homer, he can reject the beauty of Virgil, but he can also reject – and this has got to be an even greater challenge, perhaps – he can also reject the help of his Christian teacher, Edmund Spenser. And so I’m going to leave you here at the end of this lecture less with a conclusion than with a paradox. I think that Milton in Paradise Lost finally remembers what actually happened in Spenser’s cave of Mammon, how the hero triumphed alone, but Milton remembers this particular Spenserian story only once he has successfully forgotten Spenser – only once he has set aside fully his teacher’s style of poetry. Okay. That’s it for today. Next time reread for the third time – you will be repaid by your dedication – Books One and Two, this time focusing on the similes. Also, as I mentioned at the beginning of class, read the essays by Stanley Fish and Geoffrey Hartman.